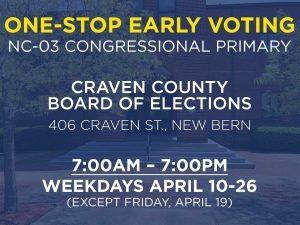 The Craven County Democratic Party is the official Democratic organization for the county. We’re part of the North Carolina Democratic Party, which in turn is part of the Democratic National Committee. As Democrats, we believe in the American dream: Equal opportunity and prosperity for all. Learn more about what we stand for. Learn more about how we’re organized as a party—or find your neighborhood Democratic organization or a caucus organization that fits you.